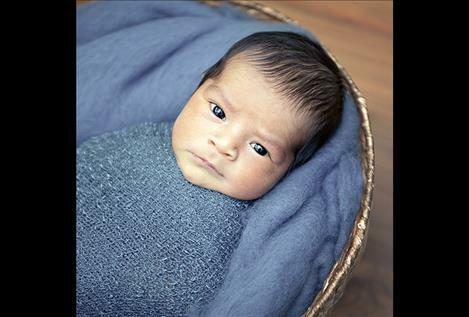 POLSON – Gabriel and Elliana Jensen are excited to announce the birth of brother Jesse Lee Jensen. Jesse was born April 25, 2018 at the Nesting Place in Providence St. Joseph Medical Center in Polson. He was 21 inches and weighed 8 pounds, 9 ounces. Jesse’s parents are Samantha and Nathaniel Jensen of Ronan. Maternal grandparents are Stacy and Gary Burdett and Sara and Mike Champ. Paternal grandparents are Beatrice and Dan Jensen. 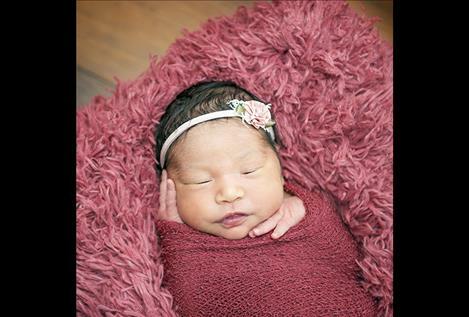 POLSON – Keeana Olivia Noel was born April 13, 2018 at the Nesting Place in Providence St. Joseph Medical Center in Polson. 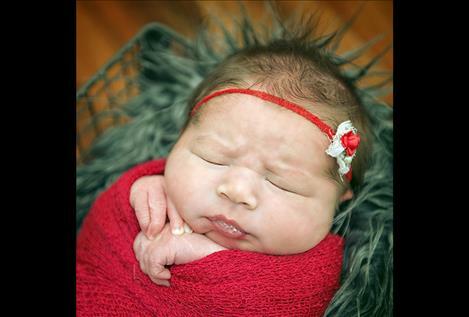 She was 20 ¼ inches and weighed 8 pounds, 6.2 ounces. Keeana’s parents are Roxy and Fred Noel of Polson. She joins brothers Keenan and Oliver in the Noel home. Paternal grandparents are Mae and Gerald Noel. POLSON – Marie Sorrell Rose Brown was born April 17, 2018 at the Nesting Place in Providence St. Joseph Medical Center in Polson. She was 19 inches and weighed 8 pounds, 15 ounces. Marie’s mother is Sierra Brown of Polson. Maternal grandparents are Shane Brown and Andrea and Brandon Lohf. Maternal great-grandparents are Faye and Rick Bauer. 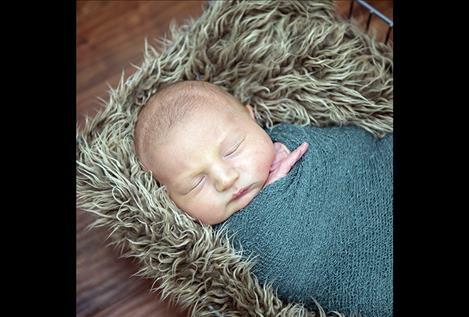 POLSON – Takoda McLeod is excited to announce the birth of brother, Hudson Henry McLeod. He was born April 30, 2018 at the Nesting Place in Providence St. Joseph Medical Center in Polson. Hudson was 20 inches and weighed 7 pounds, 13 ounces. His parents are Brook Tobol and Alfred McLeod of Charlo. Maternal grandparents are Tana and Steve Tobol. Maternal great-grandparents are Bob Lulow, Sherry Fleenor, Sharon Hill, Judith and Dave Tobol. Paternal grandparents are Sherry and Demius McLeod. Paternal great-grandparent is Leota Greniere. 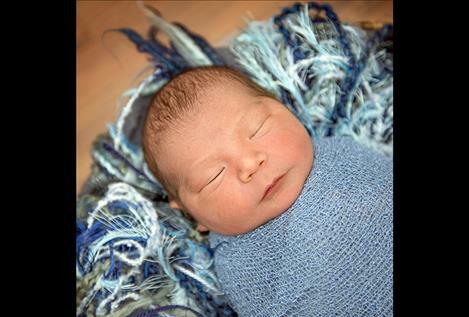 POLSON – Kenzley Janson is happy to announce the birth of brother, Robert Wayne Janson IV. He was born April 27, 2018 at the Nesting Place in Providence St. Joseph Medical Center in Polson. Robert was 21 and ¼ inches and weighed 7 pounds, 9.5 ounces. His parents are Malia Hamel and Robert Janson III of Polson. Maternal grandparents are Jami Pluff and James Hamel. Paternal grandparents are Tina Decker and Robert Janson Jr.
POLSON – Iverson Lunar Blackweasel was born April 26, 2018 at the Nesting Place in Providence St. Joseph Medical Center in Polson. He was 20 ½ inches and weighed 6 pounds 13.9 ounces.Iverson’s parents are Ashley Upham and Trevor Blackweasel of Polson. Maternal grandparents are Lailani Upham and Michael O’Donnell. Paternal grandparents are Nicolette Conko and Earl Blackweasel.